Ethanol Labeling Laws - State by State Guide. Fuel-Testers, a division of MLR Solutions www.fueltestkit.com - Copyright 2006-2012 - All Rights Reserved. Several U.S. states do not label gas pumps when ethanol alcohol is added to gasoline! Other states only label pumps when alcohol content is above 1-2 %. Over 90% of all gas sold at public gas stations now contains ethanol alcohol. E10 gas has become the "conventional" fuel and ethanol-free gas is now a "specialty" fuel. Report abnormal test results and problems with E10 ethanol fuel. Consumers may still not be aware when they are purchasing gas that contains alcohol. The result has been widespread concern and anger, due to the sudden occurrence of engine problems/malfunctions/damage from this fuel blend. The EPA and United States government has not adequately provided necessary information to the public when passing laws that mandate use of ethanol alcohol (renewable reformulated fuels) in public gas supply. Also, many consumers are unaware that the use of alcohol-blend fuels require special precautions, to prevent and limit damage and malfunction to gas-powered motors. Ethanol Fuel - What is it? Fuels with ethanol will get lower MPG due to lower energy (BTU) of alcohol. Are you taking necessary precautions when using ethanol-blend gasoline? Protect Your Right to know what's in the gas you're buying. IMO, ALL STATES SHOULD REQUIRE GAS PUMP LABELS WHEN ETHANOL/ALCOHOL IS ADDED. Let your legislators know how fuel issues they are debating affect your finances and engine's condition. Learn about the negative side effects ethanol E10 can have on engines. * New Hampshire - NH (see details) - New Jersey - NJ, Ohio - OH. *NH: We have inquired several times over the years and NH DES states "no specific labeling required but pump labeling encouraged"- In 2011 NH seeks to BAN corn ethanol in gas - See HB 374. Alabama, Arizona, Arkansas, Colorado, Connecticut, Delaware, Georgia, Hawaii, Idaho, Illinois, Iowa, Louisiana, Massachusetts, Mississippi, Montana, Nebraska, New Hampshire, New Mexico, New York, North Carolina, North Dakota, Oklahoma, Oregon, Rhode Island, South Carolina, South Dakota, Tennessee, Texas, Utah, Vermont, Virginia, Washington, West Virginia. Use a portable ALCOHOL FUEL TEST KIT or QUIK-CHECK SOLUTION to quickly reveal if gas contains ethanol. Sources: State labeling laws in box charts above obtained from ACE STATUS Report (2006-Onward) and U.S. Dept of Energy Data Center, in addition to review of current public information, including state and county laws, fuel and petroleum supplier/distribution reports, etc. American Coalition for Ethanol (ACE) has published a yearly update on state-by-state ethanol laws from 2006 to Present. During 2006-07 STATUS Report available online for widespread public viewing, then in 2008 ACE only supplied the report by special request. Fuel-Testers Company did receive a 2008 copy from Lacey Dixon, Director of Member and Industry Relations in 2008 - But, in 2009 our request to ACE for STATUS Report Update was denied. View ACE Staff Contact. As per Lacey Dixon, ACE now ONLY distributes STATUS Report to their 'Voting" and "Associate" paid members ($1,000/$750 annual dues). State fuel laws and guidelines change very frequently, especially with ethanol distribution - So always check your state's laws directly for updates. Renewable fuel and E10 details/changes in laws can also be found online at your states' governement website - Look under Department of Energy or Department of Agriculture and/or Division of Weights & Measures. Search for "renewable fuel standards". The legal limit for ethanol alcohol in E10 fuel is 10%. Engine manufacturers still only recommend and warranty use of gas with 10% or less ethanol; Not E15, E20 or any other gas blend that contains above 10%. It is shocking that the EPA recently (10/2010) approved E15 for 2001 and newer autos despite knowing manufacturers will invalidate engine warranties when fuel types above E10 are used. *E15 is not legal for sale yet (12/2011) but MANY gas stations continue to illegally over-blend ethanol due to profit motives. Exception: Flex-fuel vehicles are designed to accept up to 85% alcohol in gas (E85). *Nov. 7th, 2011 the EPA published a public notice stating "Update: As of November 7, 2011, E15 is not registered with EPA and is therefore not legal for distribution or sale as a transportation fuel..." http://www.epa.gov/otaq/regs/fuels/additive/e15/ We have viewed this page several times since then, but on 12/16/2011 this page at EPA website is no longer visible...We'll keep you posted. Gas pumps may not reveal ethanol alcohol was added to gasoline. The percent of ethanol may be incorrectly added by the local fuel distributor or gas retailer. Overblending and "double-blending" is common. Adding 15, 20% or higher amounts of ethanol- (Legal limit=10%). Few gas stations monitor or check ethanol content (% added) of fuel delivered and contained in the gas pump. Several states that are now labeling, are attempting to change laws to "no label". There are still many gas-powered engines that prohibit use of gasoline containing alcohol. Check your owner's manual fuel recommendations. View Manufacturer Ethanol Fuel Recommendations.and Warnings. Contact your local, state and federal legislators and demand the right to be informed when fuel mixture at gas station pumps contains alcohol. Protect your right to NON-ethanol fuel availability: SIGN Fuel Choice Petition. The debate to "label or not label" has been a hot topic in Iowa and several other states. Example: Iowa Senate President Jack Kibbie introduced a bill in 2008 to remove labeling requirement, saying that he thought more motorists would buy E-10 without the label. Kibbie’s proposal would have allowed gasoline station owners to decide whether or not to keep the E-10 label at the pump. The Iowa Corn Growers Association (ICGA) opposed the label-removal proposal, wanting to keep the E-10 labels on pumps. Details on this news report can be found at NACS online and magazine, The Association for Convenience and Petroleum Retailing. In less than 5 years, most consumers have lost their right to buy E0 pure gasoline (without alcohol), due to unwise decisions made by the EPA and our government leaders, and of course the greed of ethanol lobbyists/producers...IMO. Stay Safe & Protect your investments: Check and monitor gas with an Alcohol Fuel Test Kit and/or Quik-Check Solution. 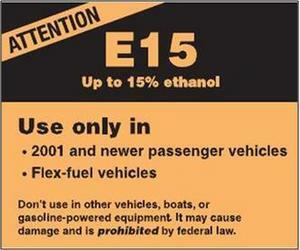 New E15 label approved in June 2011 - E15 pumps may soon be in your neighborhood. AFTK Complete Kit- Check percent % ethanol in gas. (Reference CT General Statutes 16a-15). (Reference MS Dept. of Agriculture and Commerce Regulations Subpart 4, Chapter 8, Section 106). 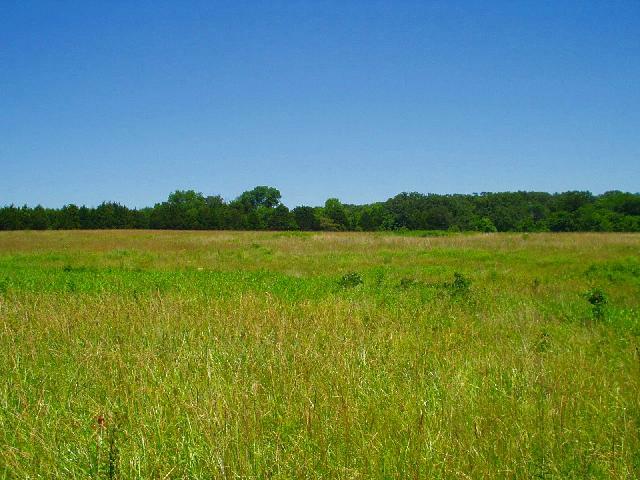 (Reference TX Statutes, Agriculture Code 17.051). - Wyoming - WV Labels "gasahol"